Forum Discription: A place to discuss meats, fish, eggs and other non-vegetable protiens in general. I love duck, but the only time I have it is when I get to Chinatown and buy some. I love wild duck but haven’t gone duck hunting in 15 years. Then, I would breast the duck, slice it thin and stir-fry with with veggies. It actually takes a bit more time at the end, as you’re basting the duck every 10 min., but it turned out fabulous. Then, Slavyanka made potatoes with fresh thyme, fried in duck fat. Heavenly. Slavyanka can’t remember having duck. Her mother loves it but she would never try it. She really liked this recipe. She even said we could make it for company, so that’s high praise. Looks good, Martin. Nice job. I love duck. But the cost, around here, is kind of prohibitive. So we don't have it very often. When we do, I just buy breasts. 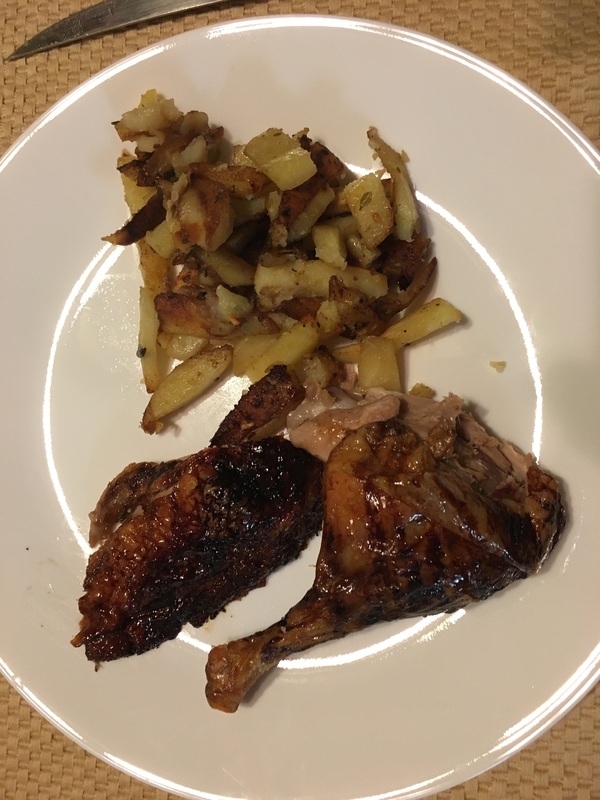 I used to do a lot of waterfowling, so have numerous recipes. 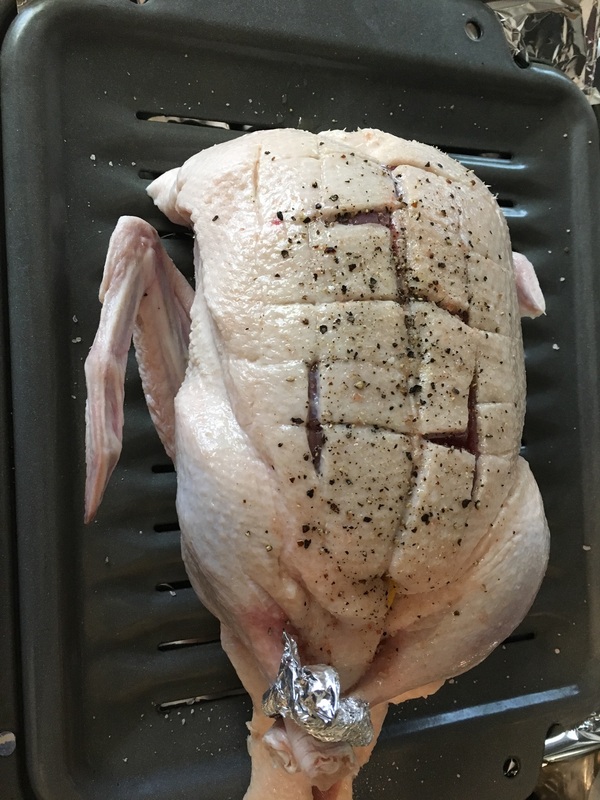 Converting them to domestic duck can get hairy, because they do, indeed, cook differently. Wild ducks have little fat, and can dry out if you're not careful. Today for lunch I shredded the leftovers, heated them with mushrooms and sprouts, then onto a crepe with leaf lettuce and plum sauce. That looks incredible, and I like what you did with the leftovers! If you are a visitor and like what you see, please http://foodsoftheworld.activeboards.net/registration_rules.asp?FID=0" rel="nofollow - click here and join the discussions in our community! Ron, I actually enjoyed the leftovers with crepes even more. I took some to work for lunch today and shared them with several of the women. They all really liked them. I could totally see making up a batch of them for appetizers at a wine-tasting or something like that. 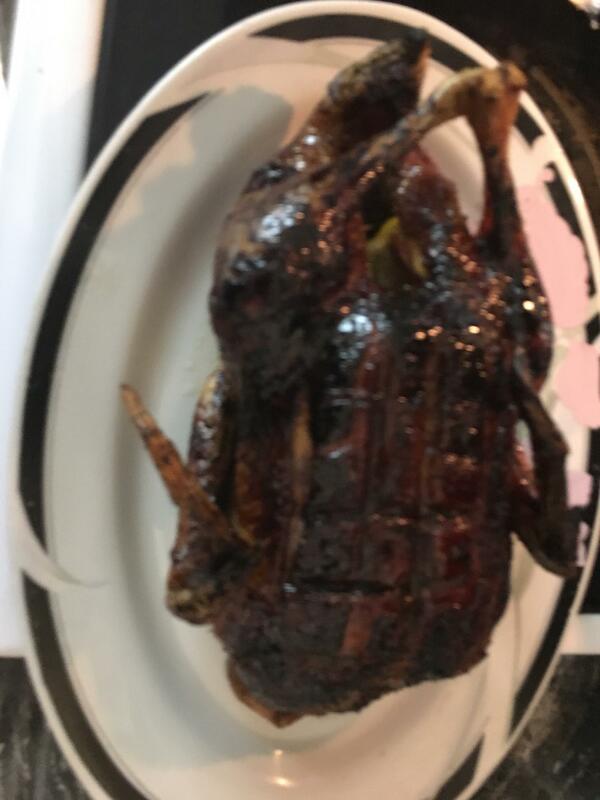 I used to do a lot of smoked duck, good stuff! But since meeting my wife I haven't been able to. She has webbed toes and considers it cannibalism. @pitrow, yeah, but I’ll bet she’s a good swimmer!